Acetone is a chemical that is too harsh for some surfaces. 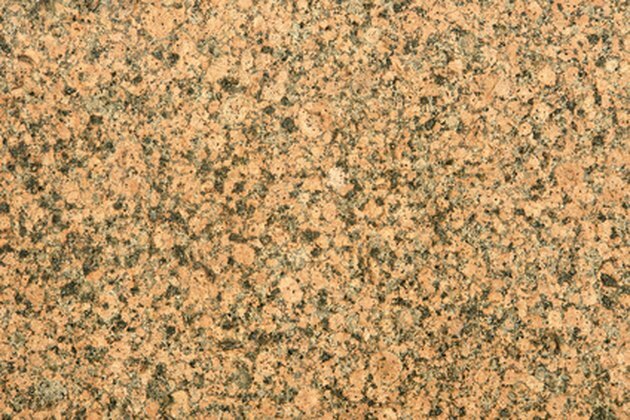 Granite is capable of handling acetone's strength, so acetone can be used to clean granite floors and countertops. Acetone is particularly useful when trying to remove stubborn stains from granite surfaces, and using it is simple. Acetone can be used to remove stains from granite without damaging the surface. Pour the acetone onto a rag. Rub the stains with the acetone-soaked rag. Pour 2 cups water into a bowl. Add 1 tsp. liquid dish soap to the water. Dip another rag into the solution and wipe down the entire granite surface with it. Dampen a third rag and use it to wash off any soap on the granite.